The culture and art of Iran, like those of nations throughout history, have always been inextricably tied to its societal problems, including its attitudes and treatment of women. Its cinema was not an exception. In a traditional, religious and male-dominated society, actresses dared to assert themselves within the relatively new art form, sacrificing to force acceptance of their presence in the cinema and subsequently bring modernity to the culture. This documentary approaches its subject on four levels: the biographical, the historical, the socio-political and the theoretical. Through interviews with many leading actresses of the time and unprecedented access to rare film clips of their work, filmmaker Bahman Maghsoudlou sheds a light on the important and controversial role women played in the development of Iranian cinema during the secular period from the 1930s right up to the Islamic revolution of 1979, examining the evolution of women’s roles, the difficulty of making films that broke from the patriarchal mode and the darkness that descended upon the arts when a new fanaticism began to take hold of the nation. 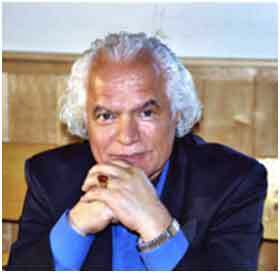 Film scholar and critic Bahman Maghsoudlou is the recipient of Iran’s prestigious Forough Farrokhzad literary award for writing and editing a series of books about cinema and theater. These include the widely acclaimed IranianCinema, which was published in 1987 by New York University’s Center for Middle Eastern Studies. He has also authored Love & Liberty in Cinema and published a collection of interviews with eleven major filmmakers entitled This Side of the Mind & the Other Side of the Pupil. Maghsoudlou continues to be prolific in his production of documentaries. He made another updated film about Ardeshir Mohasses entitled Ardeshir: The Rebellious Artist that premiered at the Palm Beach Film Festival and MESA in 2013, and a feature length film, Abbas Kiarostami: A Report, about the style and vision of the acclaimed Iranian filmmaker that premiered at the Montreal Film Festival, 2013. This film was the first of a series of films entitled Iranian Cinema: Searching for the Roots.